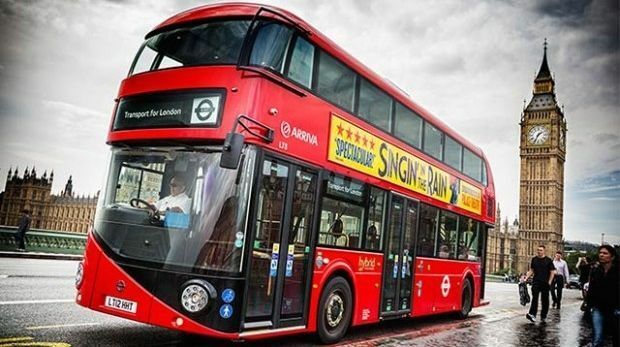 London is about to get its first all-electric double-decker bus. The capital's streets are already teeming with hybrid double-deckers and all-electric single-deckers, but an all-electric double decker will be a world first. It's taken until now to overcome the technical challenge. Such a large vehicle will need more battery power to keep it running through the day. London City Hall doesn't mention the exact specs of the bus, but does say it'll be made by BYD, a Chinese firm known for making electric vehicles and the batteries that power them. The first all-electric double-deckers will enter service on route 16, which runs between Cricklewood and Victoria Station.Later this year, London will also have its first pure electric bus route, the 312, which runs between Norwood and South Croydon. The Mayor of London Boris Johnson made the announcement at the first ever Clean Bus Summit. The summit saw representatives and major bus manufacturers from across the world descend on London's City Hall. "The iconic red double-decker bus is about to become greener than ever," Johnson said. "I could not be more pleased that London will play host to these exciting pure electric double-decker buses, and I'm sure the lucky users of route 16 will embrace it with gusto. London is a world leader in clean buses but we can't do it alone, and events like this Clean Bus Summit are key to making further progress." Also at the summit, four additional cities – Amsterdam, Lima, Catalonia and Rome – signed up to the Global Clean Bus Declaration.